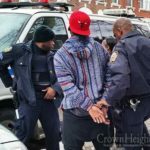 Police made a third arrest over the weekend of a man they say robbed and assaulted a 21-year-old Crown Heights woman in a violent mugging caught on surveillance video on Franklin Avenue last month. 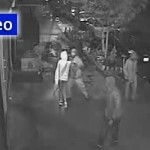 Flatlands resident Sanjae Douglas, 25, was arrested Friday at the 77th Precinct and was arraigned the next day on charges including attempted gang assault for attacking Gwendolyn Reyes as she walked home from work on Oct. 2, according to the Brooklyn District Attorney’s office. Douglas and two men previously arrested — Kiah Morain, 24, of Crown Heights, and Hassan Dees, 24, of the Bronx — punched, dragged and robbed the 21-year-old, taking her cellphone, MetroCard and about $5, she said. 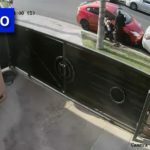 The incident was caught on surveillance video, which shows the three men approaching Reyes, knocking her to the ground and taking her property. 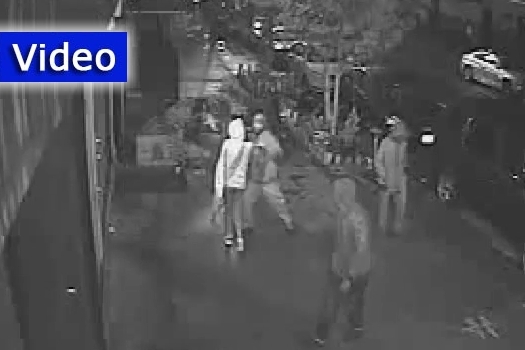 The video shows Douglas taking her purse as the two other men flee, court documents said. Click here to continue reading at DNA Info. What were the charges for the 1st 2? Hope they find the perps who have been attacking Yidden too. How stupid do you have to be to risk being put away for years on charges of robbery and assault for a stuff worth a measly few hundred dollars at most?